(403) 237-5559 or visit www.pulseseismic.com. 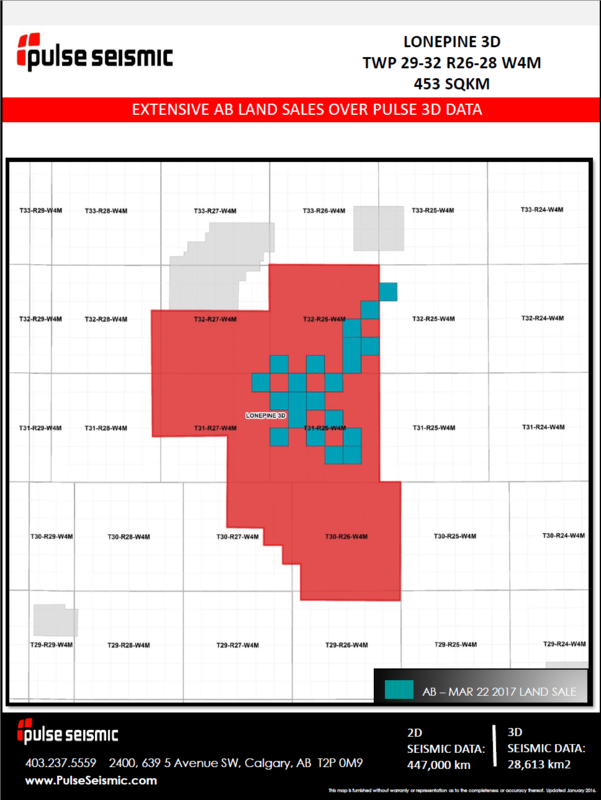 Pulse Seismic has 3D data for evaluating upcoming Alberta land sales in the TWP 29-40 RGE 23W4M – R5W5M area. Contact your Pulse Seismic sales representative at (403) 237-5559 or visit www.pulseseismic.com. 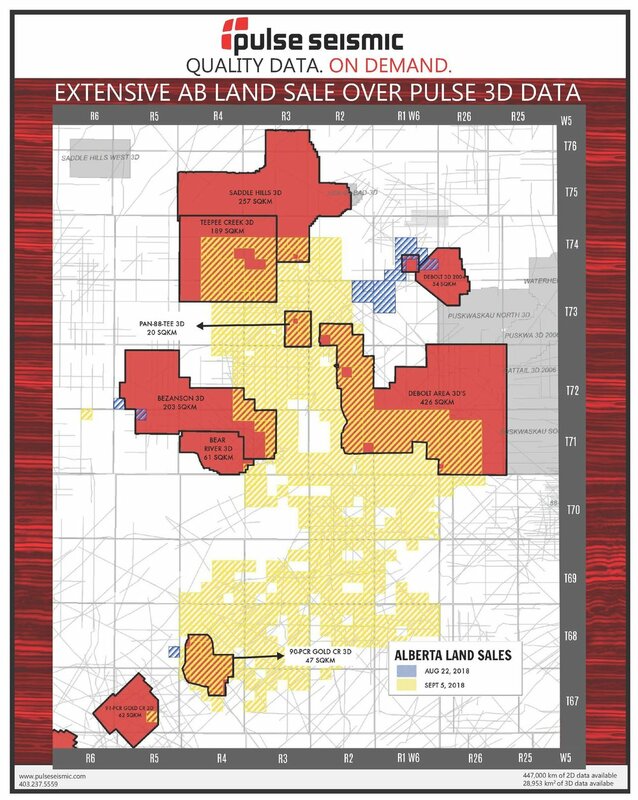 Pulse Seismic has 3D data for evaluating the March 22 Alberta land sale in the TWP 30-32 RGE 26-28W4M area.